This property was like staying in a closet I was filthy and gross! I booked the reservation with one card and my husband handed them his bank card at registration and they charged both cards!! I paid extra to pay at the property and they charged fees for both rooms ahead of time and then charged us again!! It was terrible and ruined our trip!! I am furious! 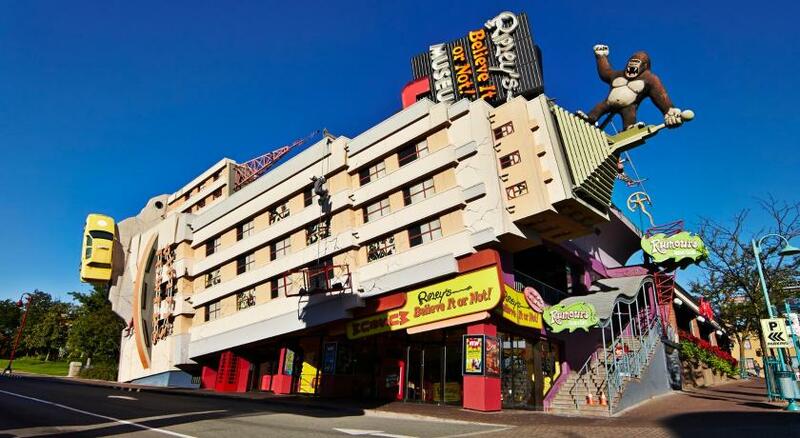 staff was very helpful, the room was very clean as was the rest of the hotel. All the staff are well attentive. I loved the view from the restaurant. The atmosphere in general is lovely. Great location, close to everything for adults, children and teenagers. Location was great. They gave us free bottle of wine and chocolate for my birthday. Best location .. i can walk to the nuagra falls, to the resturants and coffees ..
Great location! 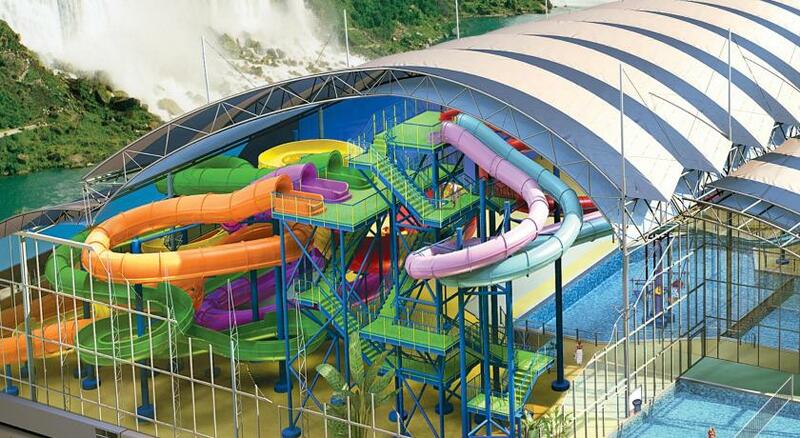 It’s connected to the indoor water park as well as the casino and Sheraton hotel. 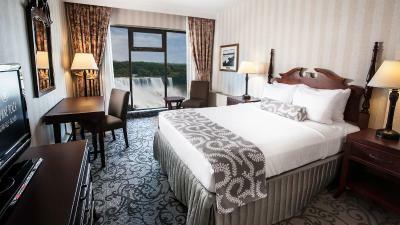 Crowne Plaza Hotel-Niagara Falls/Falls View This rating is a reflection of how the property compares to the industry standard when it comes to price, facilities and services available. It's based on a self-evaluation by the property. Use this rating to help choose your stay! 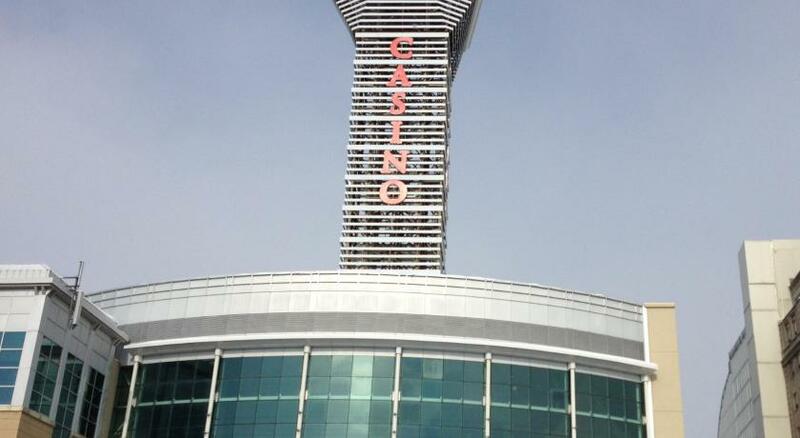 This upscale hotel overlooking the Horseshoe Falls is connected to Casino Niagara and Fallsview Indoor Water Park. 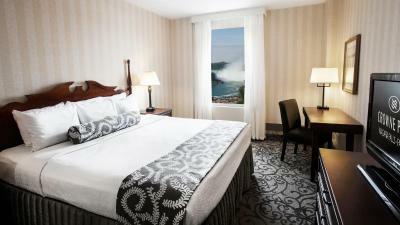 This Niagara Falls hotel features a contemporary restaurant, gym, free WiFi and rooms with cable TV. Crowne Plaza Hotel-Niagara Falls’ rooms are styled in neutral colors with wood furniture and offer a CD player, coffee maker and a work desk. Some feature views of the Horseshoe Falls. Local calling is available at no extra cost. Guests are also provided with 2 complimentary bottles of water each day. Guests at the Crowne Plaza Hotel-Niagara Falls View can enjoy the indoor recreation area, which includes an adult and children’s pool, a sauna and a hot tub. A full-service business center and a concierge desk are available. Niagara Falls Crowne Plaza’s restaurant, Rainbow Room, is open for breakfast and lunch which offers panoramic views of the Falls. Prime Steakhouse is our new contemporary steakhouse with classic Fallsview flair. Featuring premium steaks and views of Niagara Falls is located inside the Crowne Plaza. Starbucks Coffee Shop is also on site. 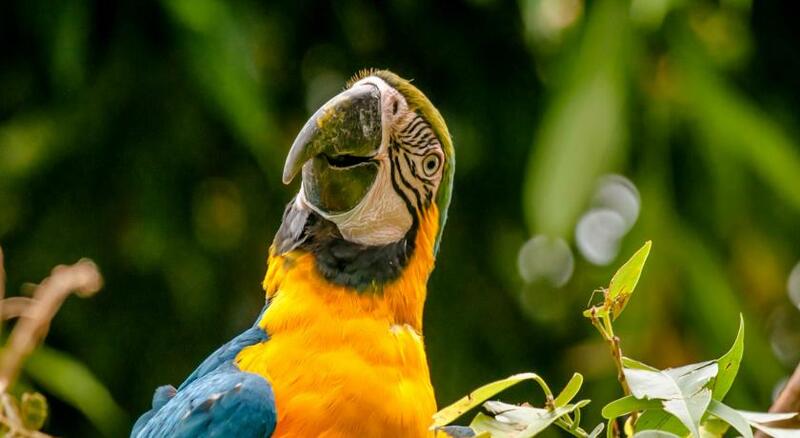 Marineland Canada is a 15-minute drive from the Hotel Crowne Plaza Niagara Falls View and the Niagara Convention and Civic Center is 5-minute drive away. 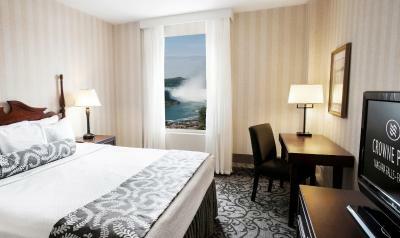 When would you like to stay at Crowne Plaza Hotel-Niagara Falls/Falls View? Room features full views of the Horseshoe Falls. Local calls and WiFi are both free. Rates including breakfast are for a MAXIMUM of two adult buffet breakfasts. Room features full views of the Upper Falls. Local calls and WiFi are both free. This comfortably furnished room features a 32-inch flat-screen TV. Local calls and WiFi are both free. Room offers some views of Horseshoe Falls. Local calls and WiFi are both free. Please note that the room type and bed type is selected at check in and subject to availability. Special requests cannot be honored when booking this room type. A cable TV, CD player and a radio are offered in this room. Local calling and WiFi are both free. A cable TV and a radio are offered in this room. A seating area and a desk are included. Local calling and WiFi are both free. A cable TV, CD player and a radio are offered in this room. A seating area and a desk are included. Local calling and WiFi are both free. Room offers views of Horseshoe Falls. Local calls and WiFi are both free. - 2 WEGO tickets (bus service around the city of Niagara) Rates including breakfast are for a MAXIMUM of two adult buffet breakfasts. This comfortably furnished room features a 32-inch flat-screen TV. Local calls and WiFi are both free. Please note that the room rate is based on 2 guests. Maximum occupancy is 4 guests (see Hotel Policies). This comfortably furnished room features 2 Twin-sized beds. Maximum occupancy is 2 guests. A cable TV, CD player and a radio are offered in this room. Local calls and WiFi are both free. 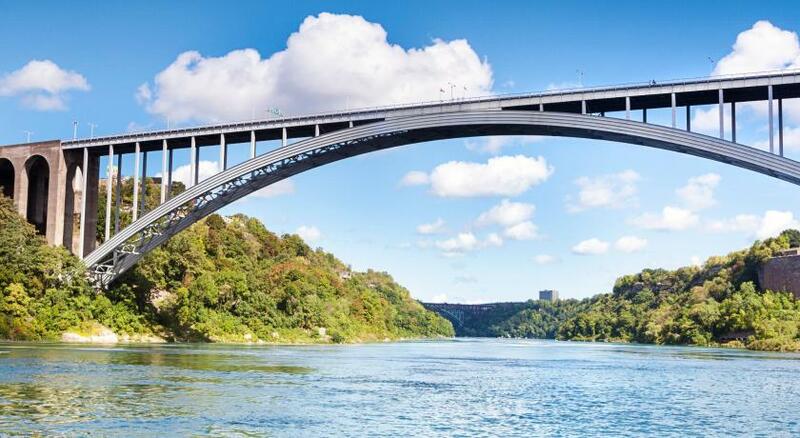 - 2 WEGO tickets (bus service around the city of Niagara). House Rules Crowne Plaza Hotel-Niagara Falls/Falls View takes special requests – add in the next step! Crowne Plaza Hotel-Niagara Falls&#47;Falls View accepts these cards and reserves the right to temporarily hold an amount prior to arrival. 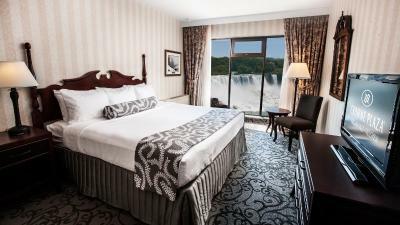 Crowne Plaza Hotel-Niagara Falls/Falls View accepts these cards and reserves the right to temporarily hold an amount prior to arrival. Please note, parking on New Year's Eve, Dec 31, 2019 - Jan 1, 2020 will cost CAD $40. The triangle washroom was a little odd. The hotel it’s self is beautiful. If feels like your kind of in an old Scottish castle. The location is perfect. Our room was very tiny and our view was of the hotel pool. We could not get any quiet as we heard all of the screaming going on at the pool. We had dinner at Prime Steakhouse which is the restaurant in the hotel and were not offered any kind of discount for being a guest at their hotel. In addition, there were many hidden fees that brought our initial fee of $159 to after various taxes $250!! The beds were creaky and very loud when you turned. It wasn’t a stable foundation. There was no fridge so you get lukewarm water. Tv positioning was not ideal at all, it was far away in the room and away from the beds. The washroom had no fan, or lock. Our view was the swimming pool, so you didn’t really want to open the curtains. There is a lot of small fees that they add on the price that just doesn’t make it worth it. There was also hair on my bed and I felt the bed was unclean. I would advise looking elsewhere because 3 star hotels offer more. We liked the location. The washroom looked nice. Lobby looks nice. The rooms are extremely small; I feel that was not clearly communicated during booking process. Our room was left ajar when we first walked up to it, thus we had safety concerns. Nothing, only you have good stuff . My room was not very clean. The bathroom was not clean at all. The parking is over priced. When I checked in the lady at the desk said that it was 35 $ .till midnight on Sunday. I was ok with that. When I booked a room with a view of the falls .I didn't know that I would have to turn my head to see the falls. Paid for falls view received building view. Shower had previous guests hair in it. It’s not clean, the heater was not working. The room are VERY small. The bathroom is very small. I got shocked and disappointed. It feels like 2 star hotel. And the walls are not sound profing and you can hear the kids screaming .. 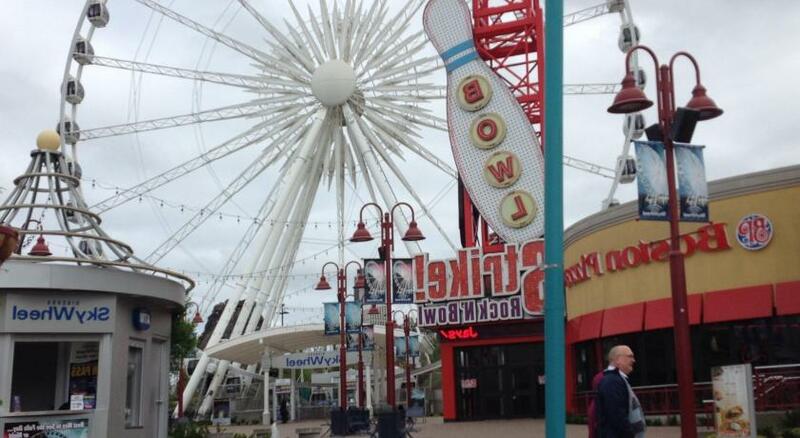 The location is awesome.. the staff is friendly.. close to all the attractions ..